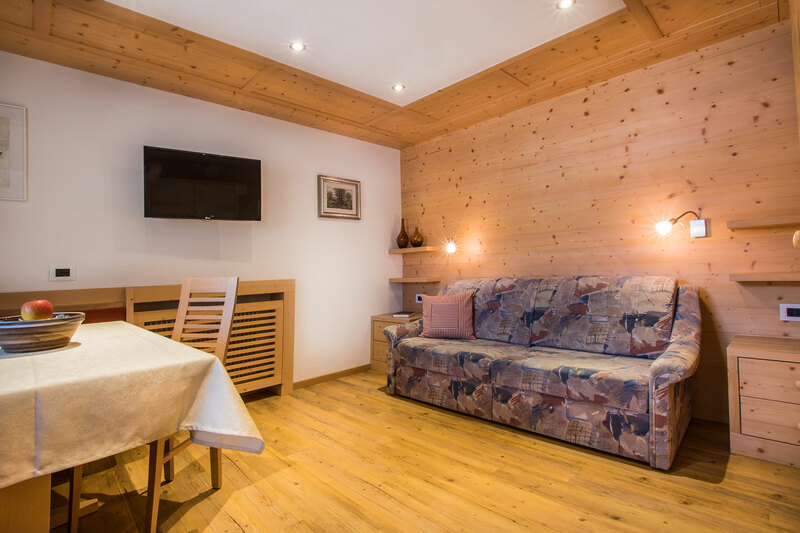 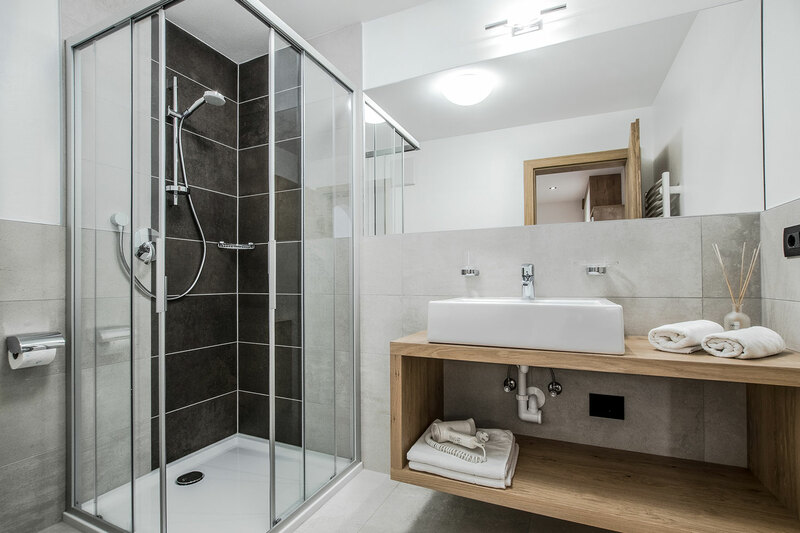 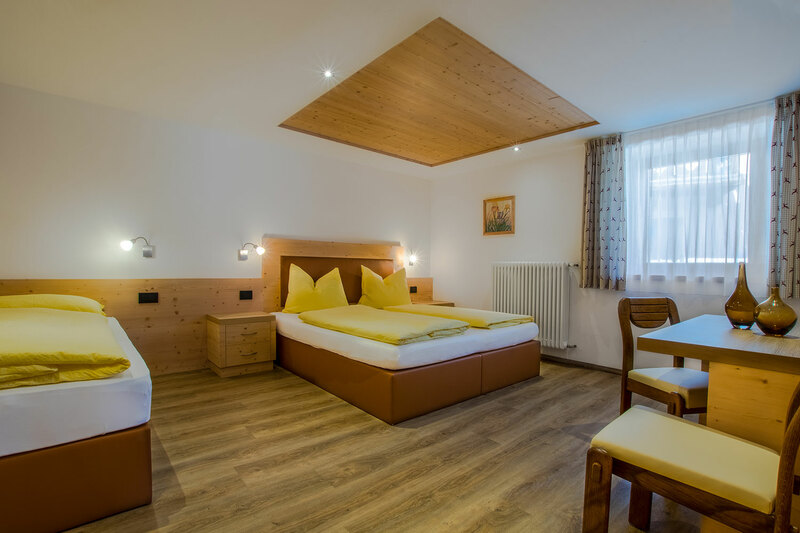 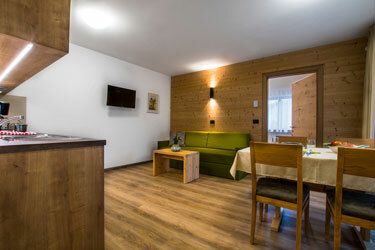 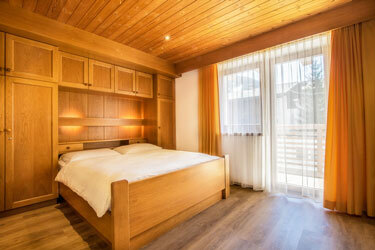 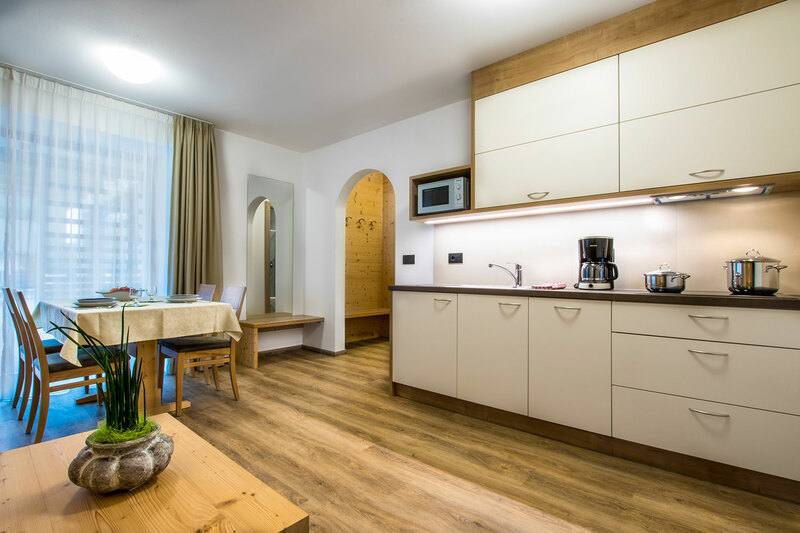 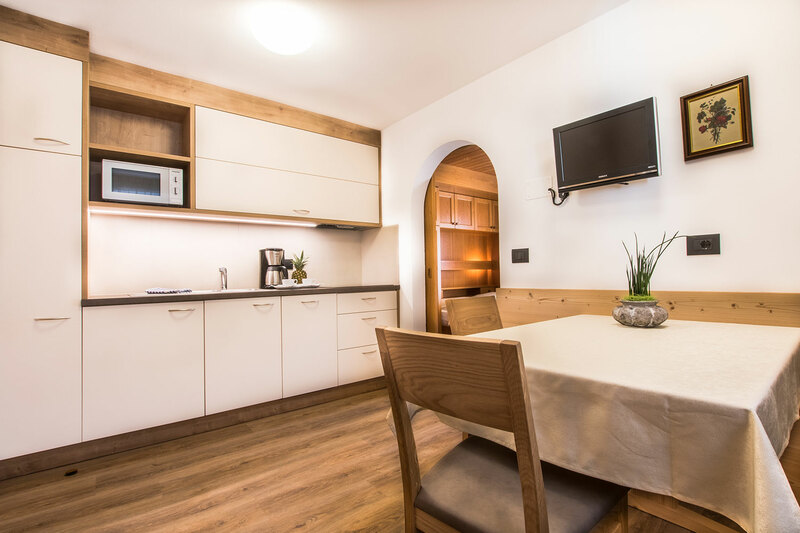 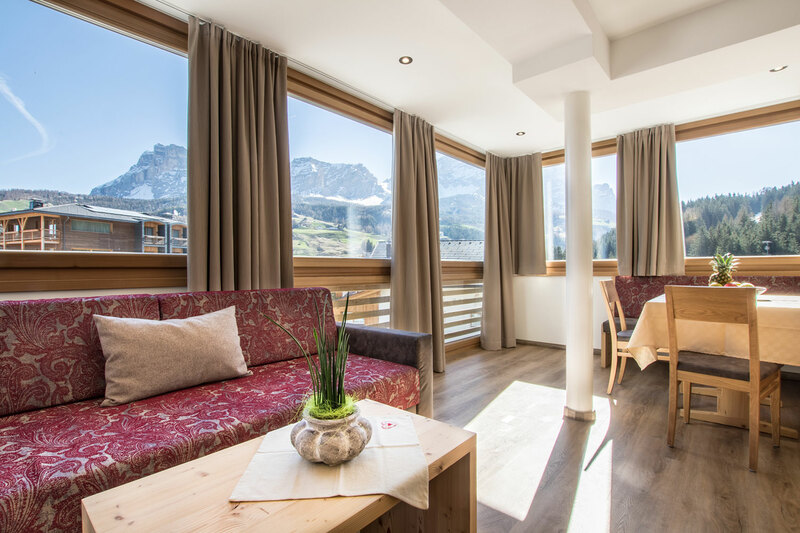 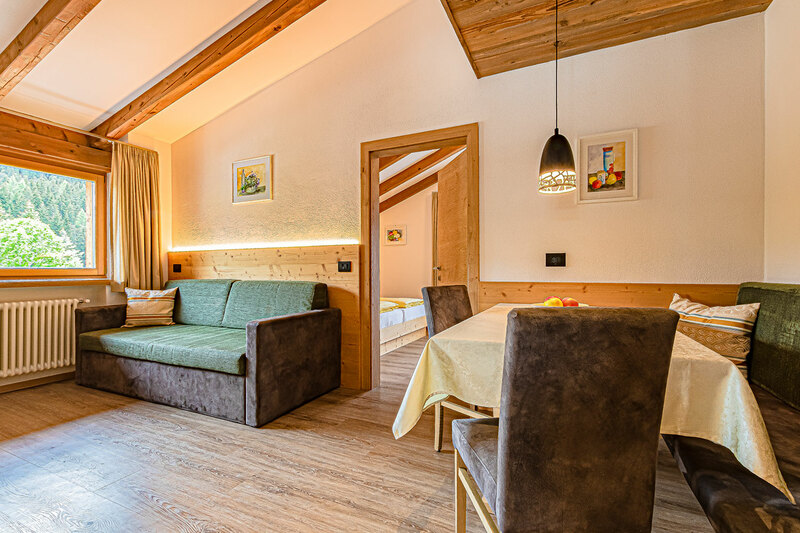 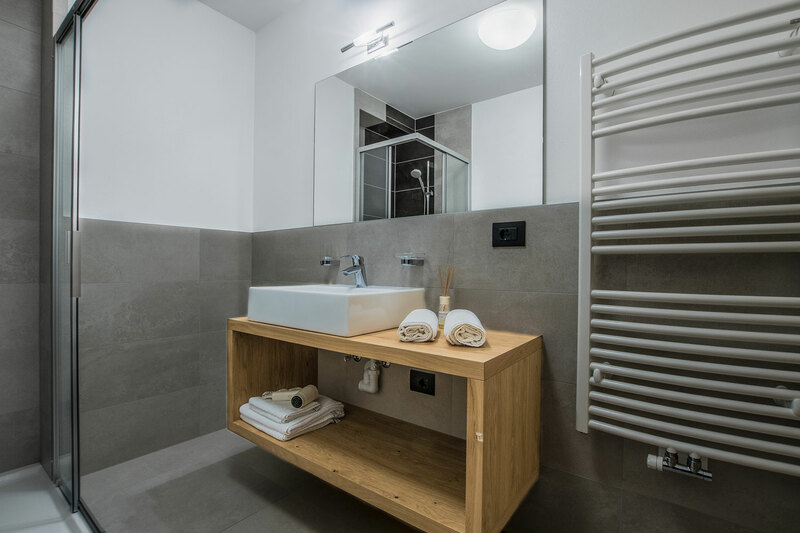 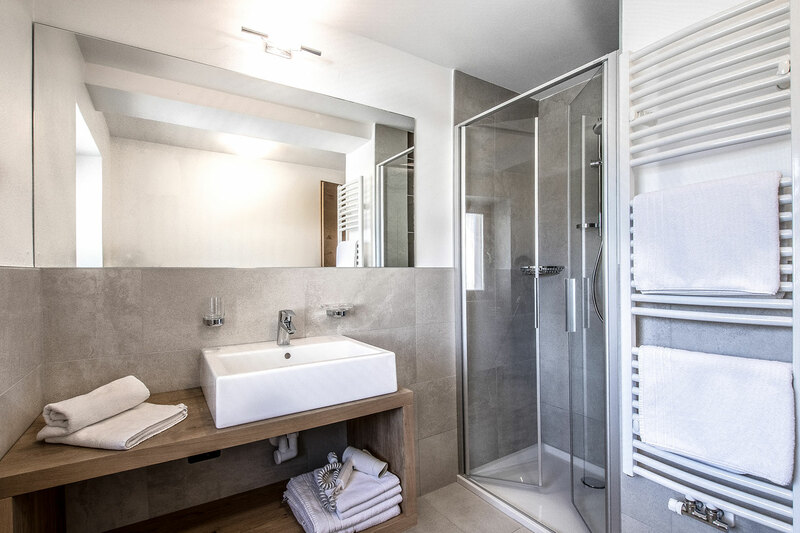 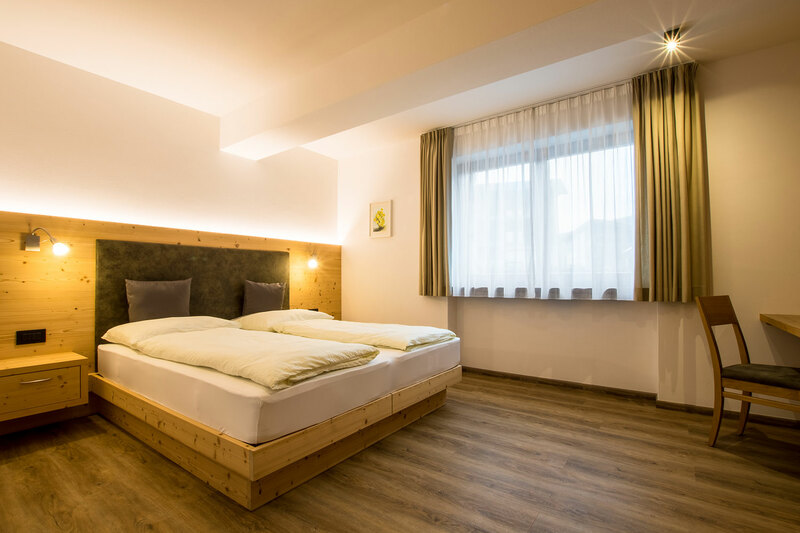 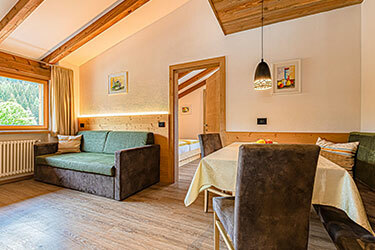 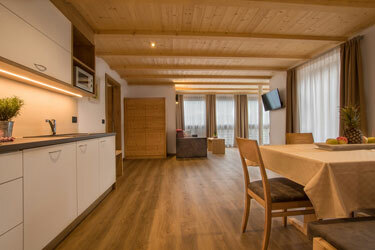 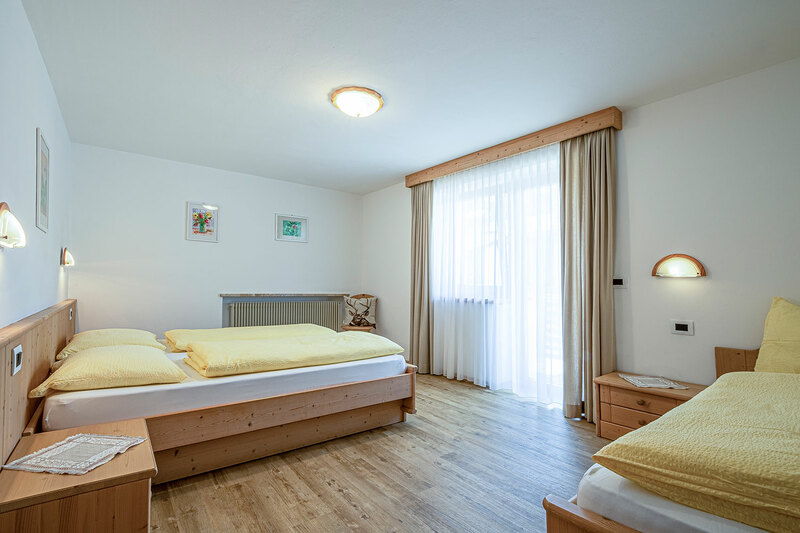 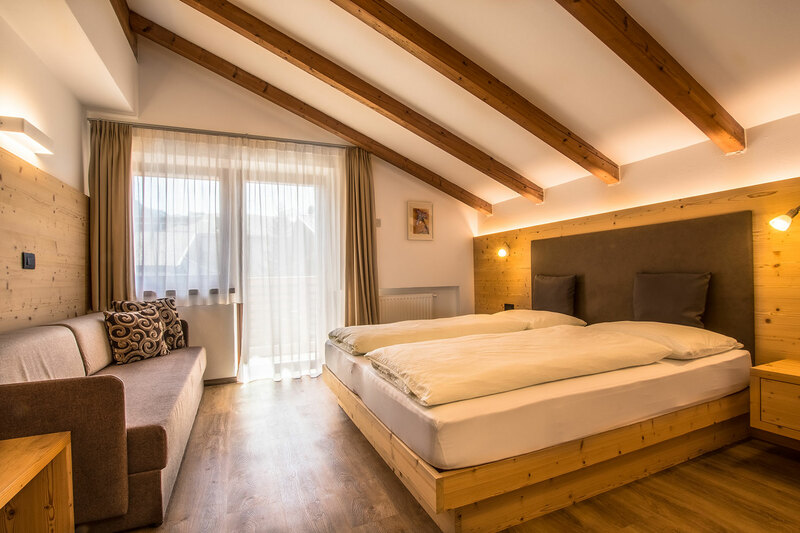 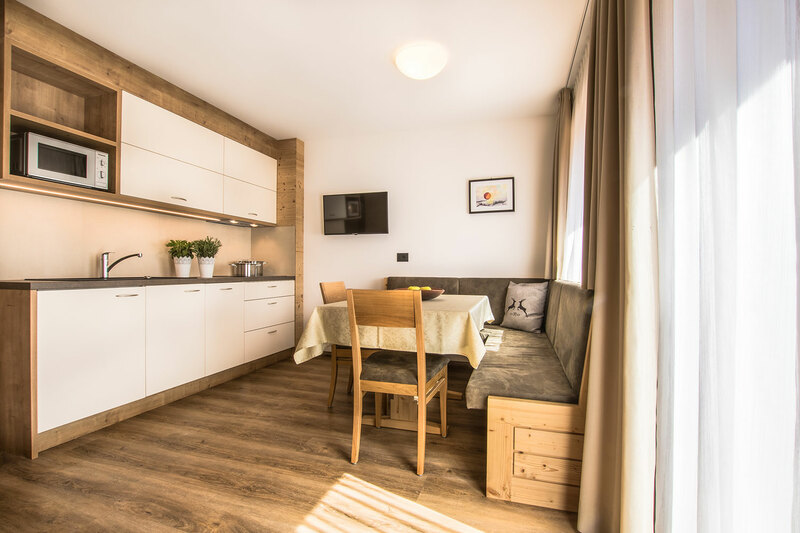 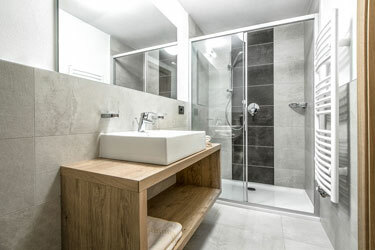 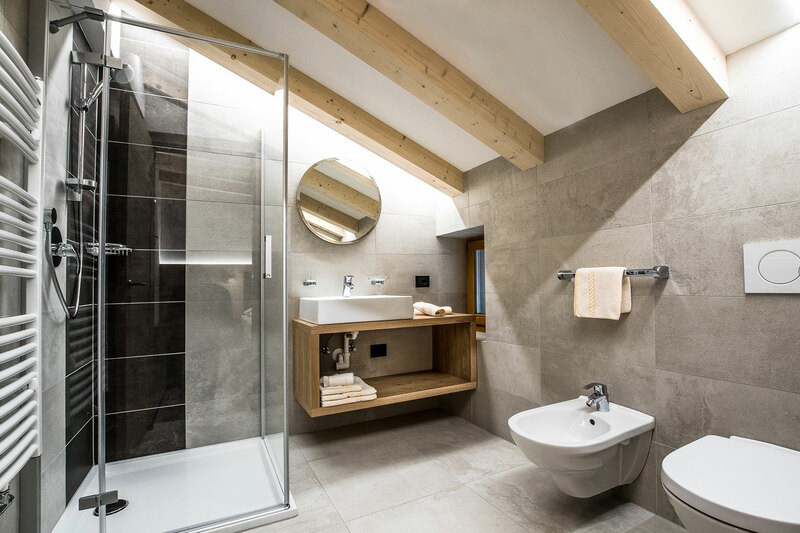 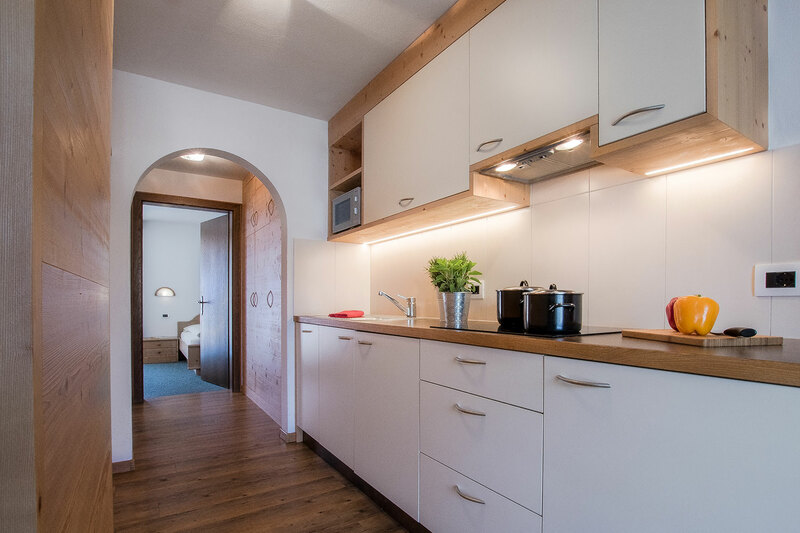 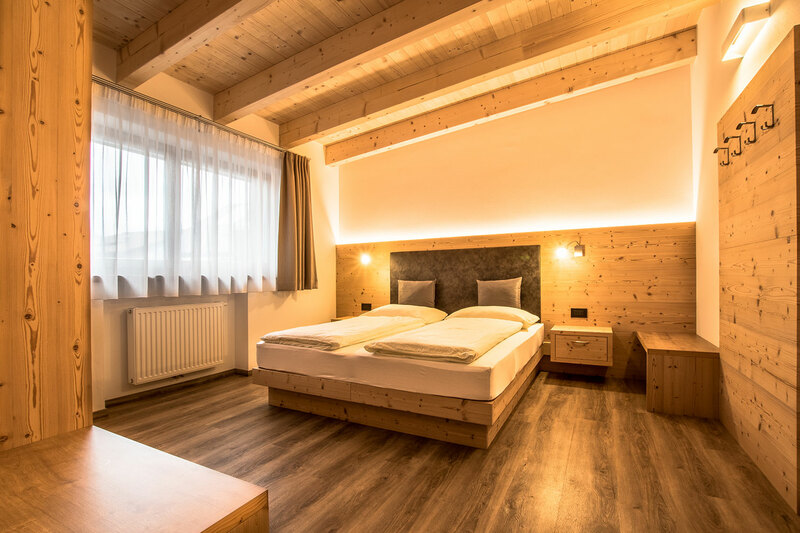 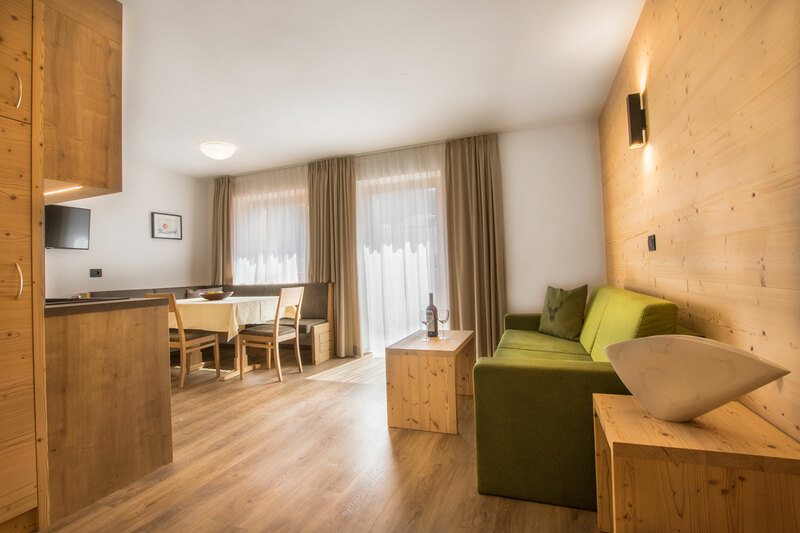 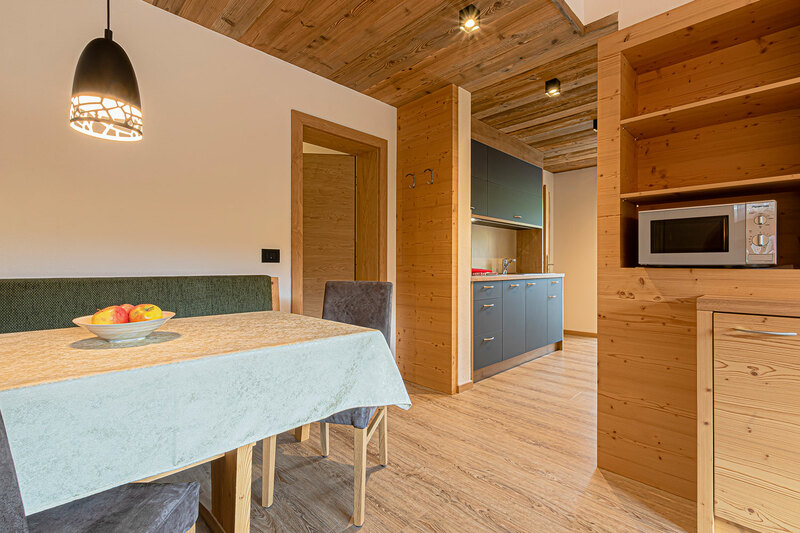 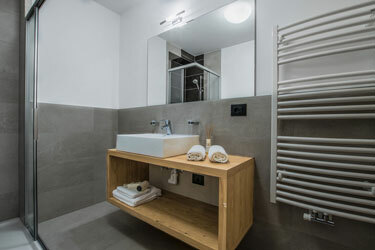 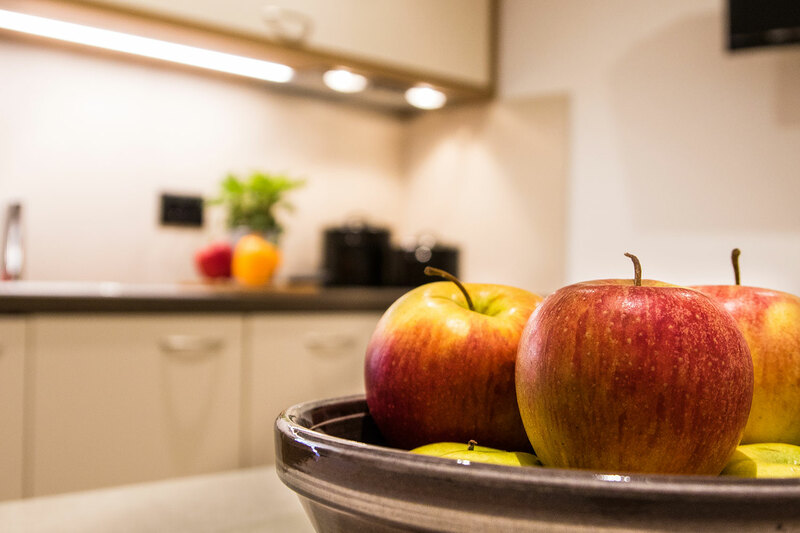 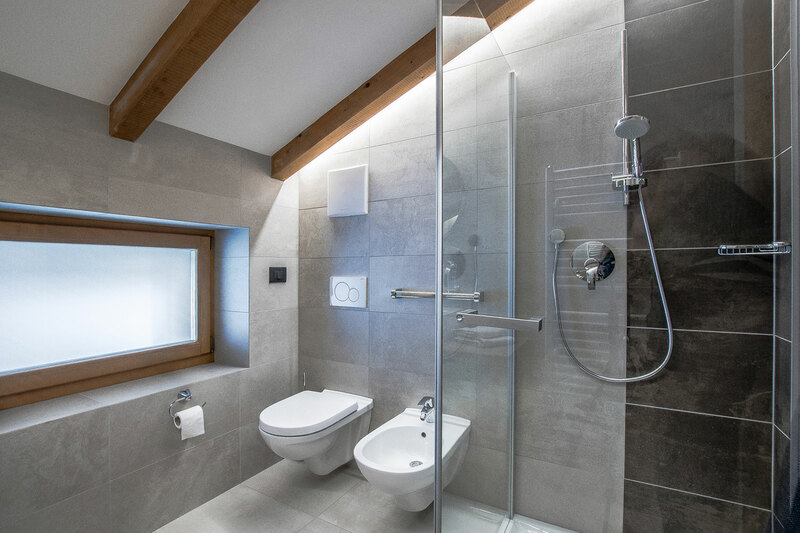 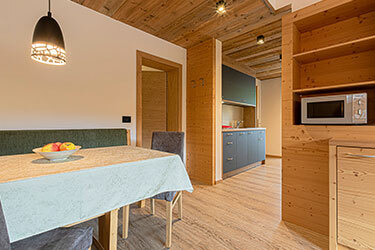 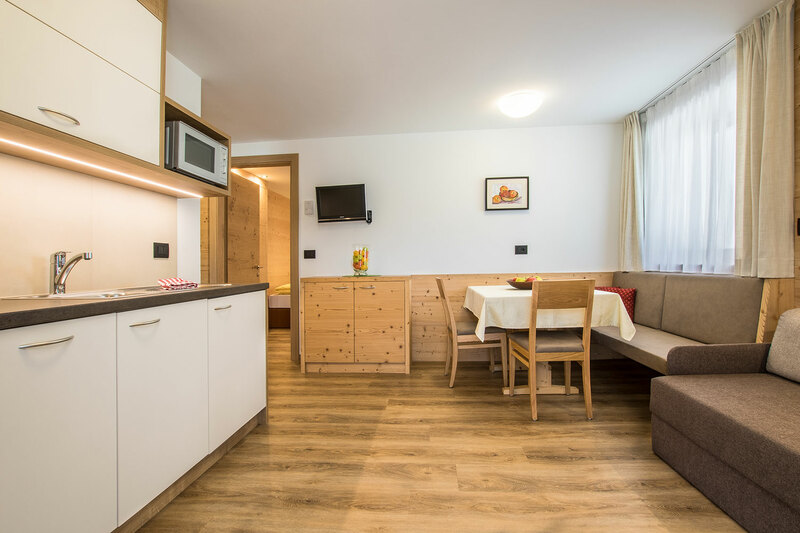 The apartments of our Residence Ciasa Crazzolara are your comfortable place of retreat in the sportive region Alta Badia in summer as well as in winter. 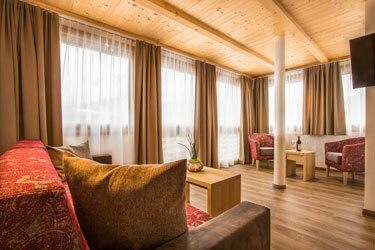 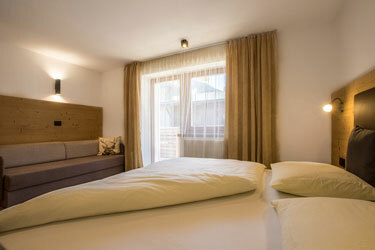 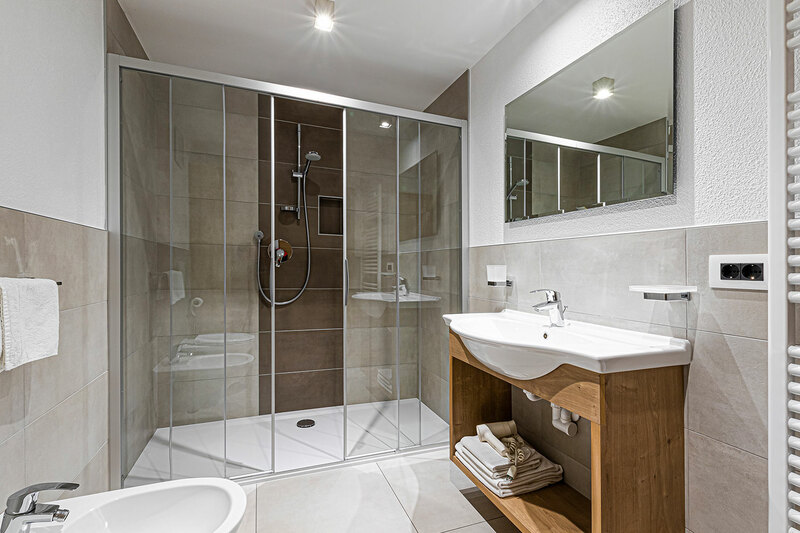 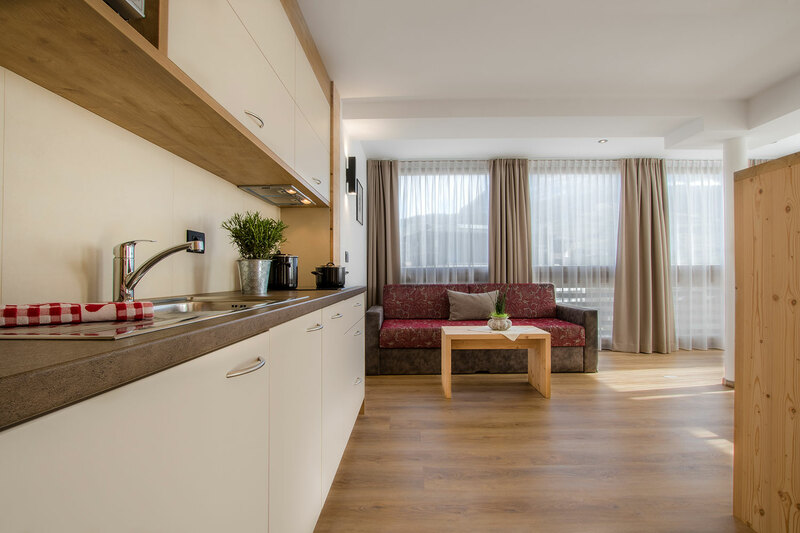 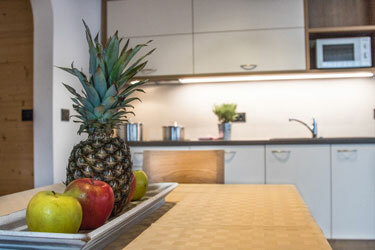 The renovated apartments with their modern furniture and equipment are bright and friendly. 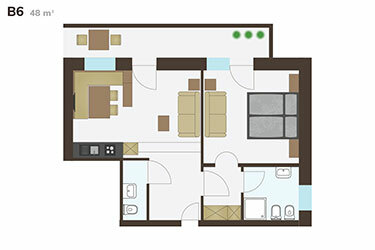 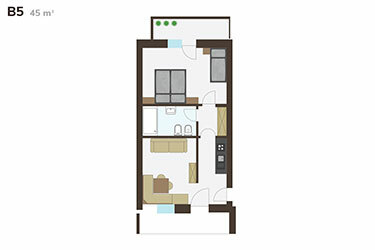 Feel free to use the kitchenette with induction cooker, fridge, washing machine and microwave as well as dishes and pans, bathrooms with shower, bathtub and save, TV, Wi-Fi connection and balcony. 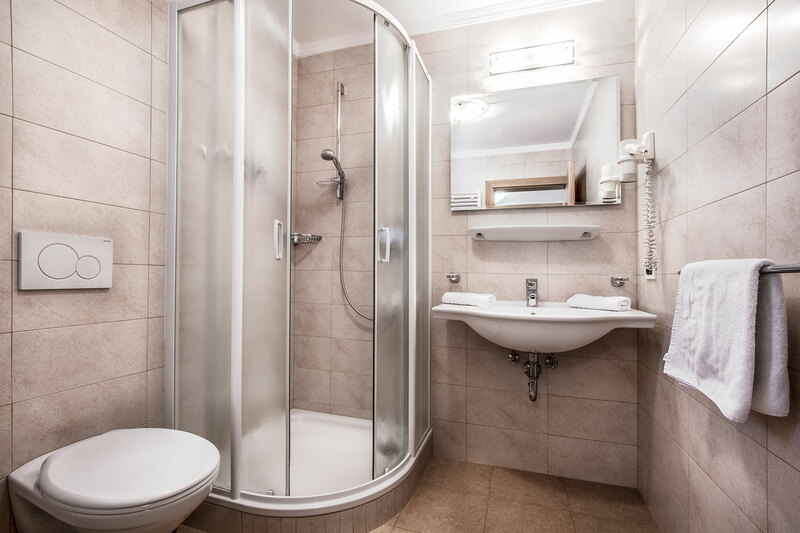 Linen and towels are at your free disposal. 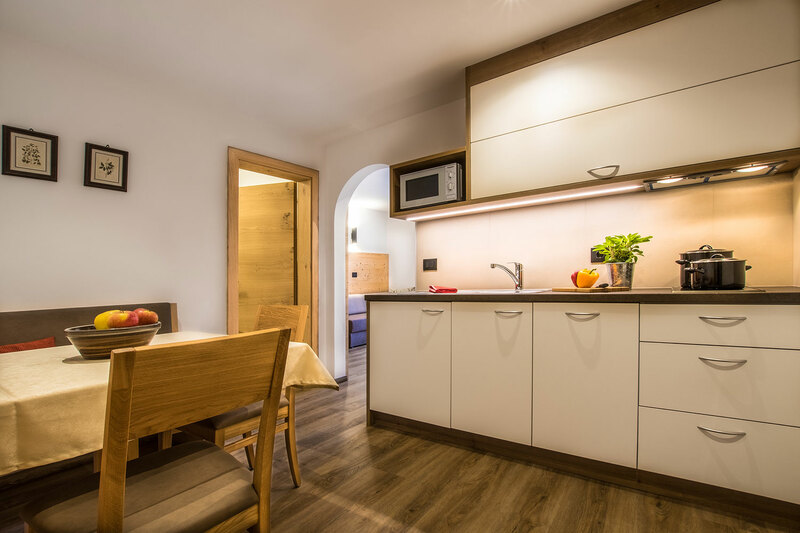 The central location in the holiday village of La Villa with its shops, bars and restaurants in walking distance guarantees a pleasant stay. 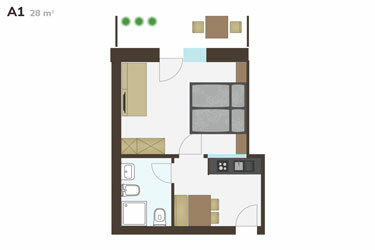 It contains a bedroom with double bed, kitchenette with kitchen and table, bathroom with shower and balcony. 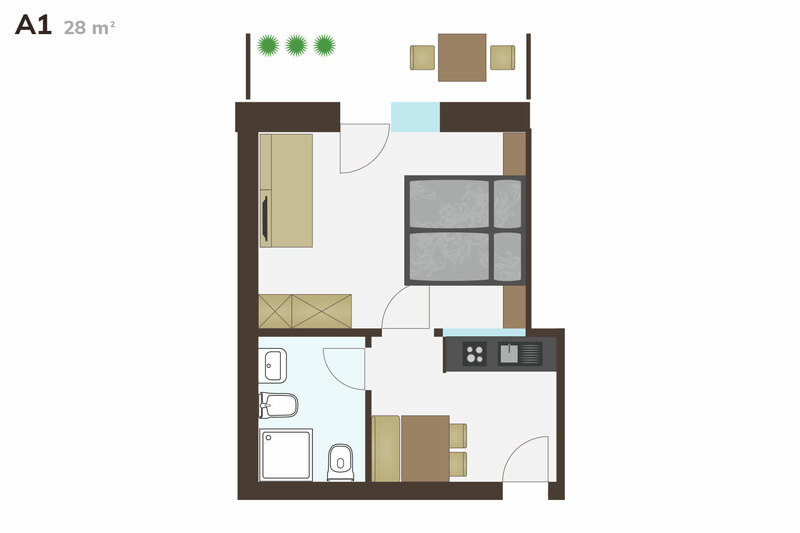 It contains a bedroom with double bed, living space with sleeping couch, kitchenette, bathroom with shower or bathtub and balcony. 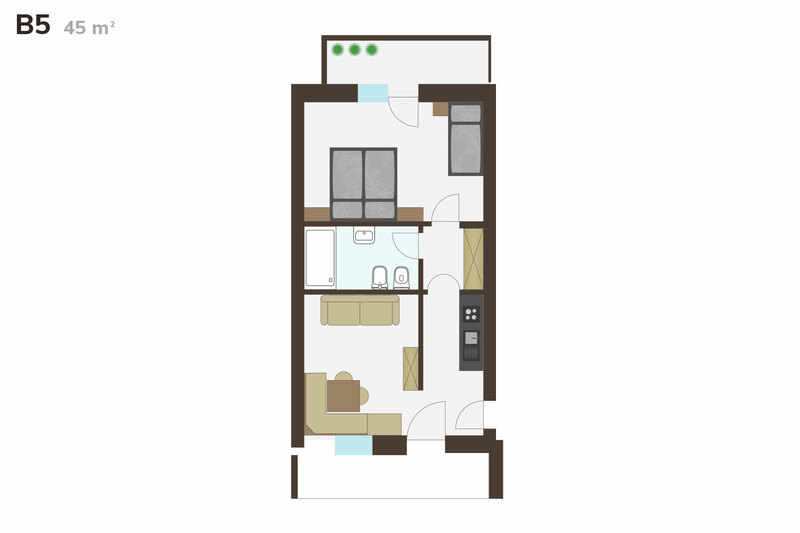 It contains 2 bedrooms with double bed, living space with sleeping couch, kitchenette, bathroom with bathtub and 2 balconies. 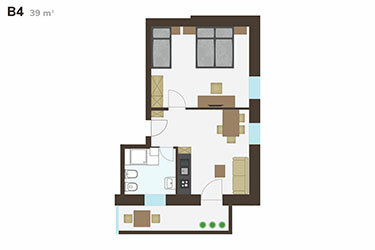 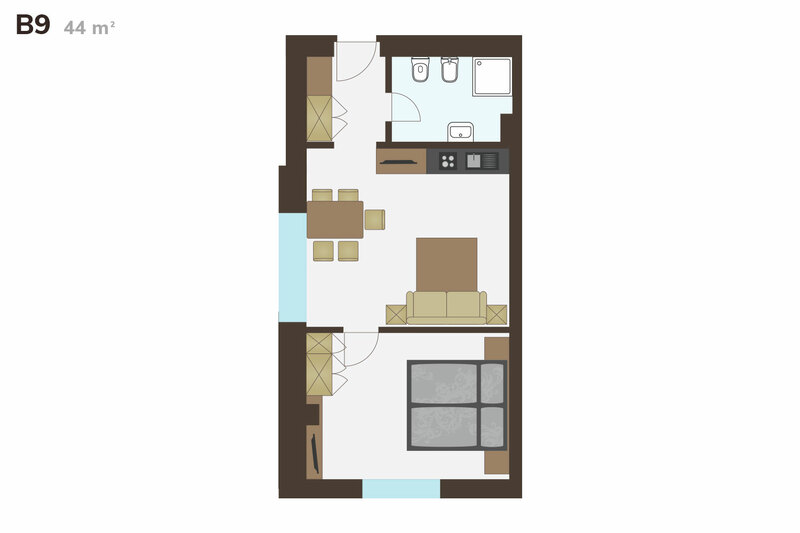 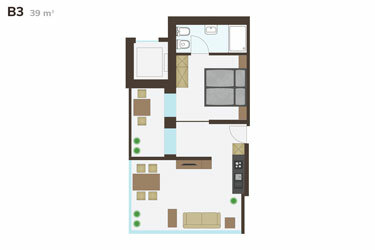 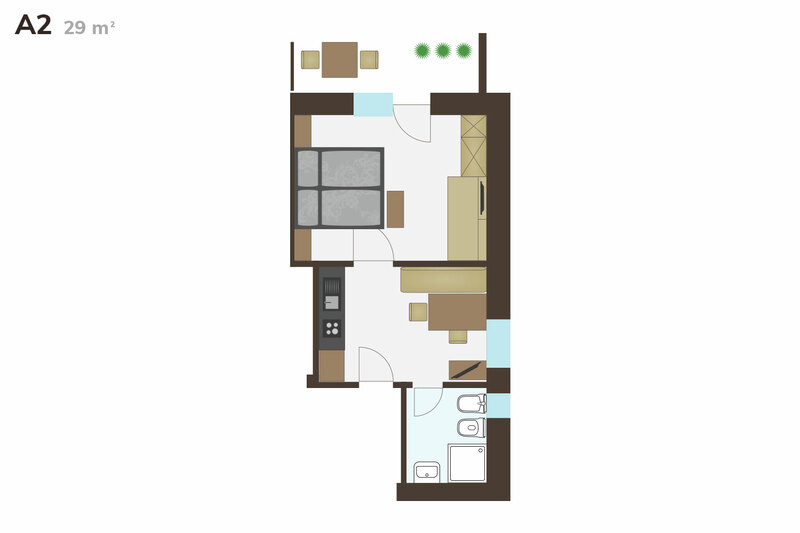 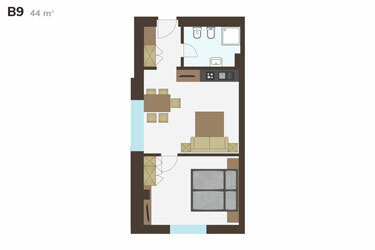 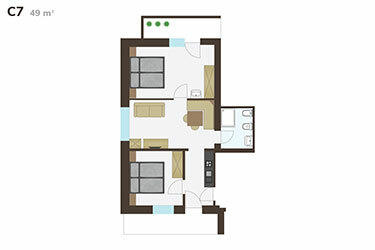 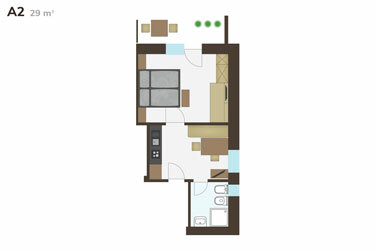 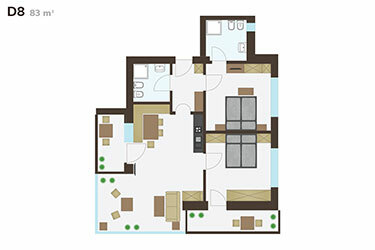 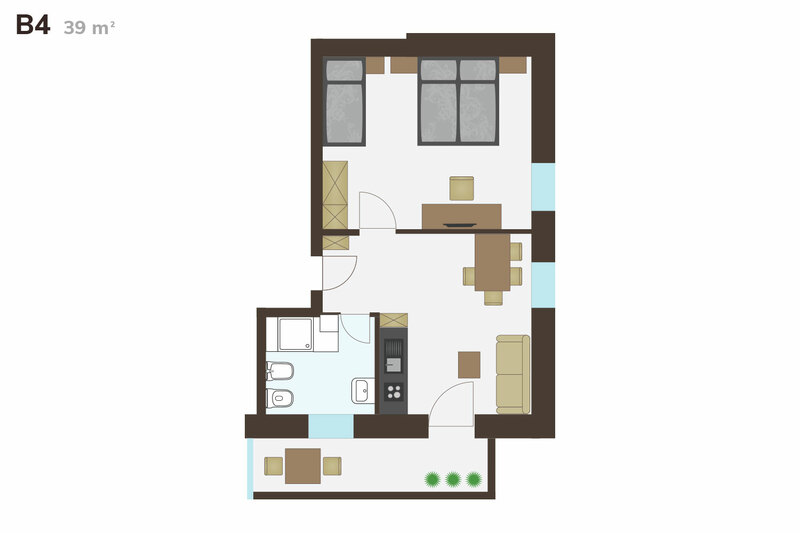 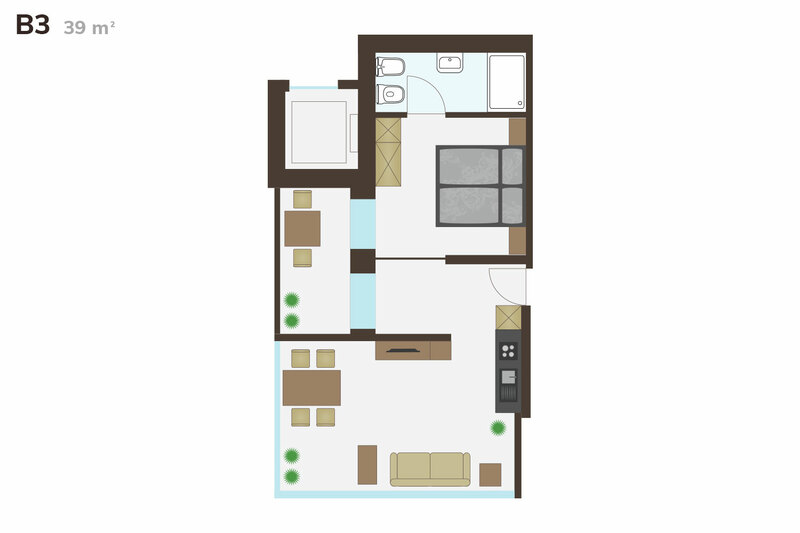 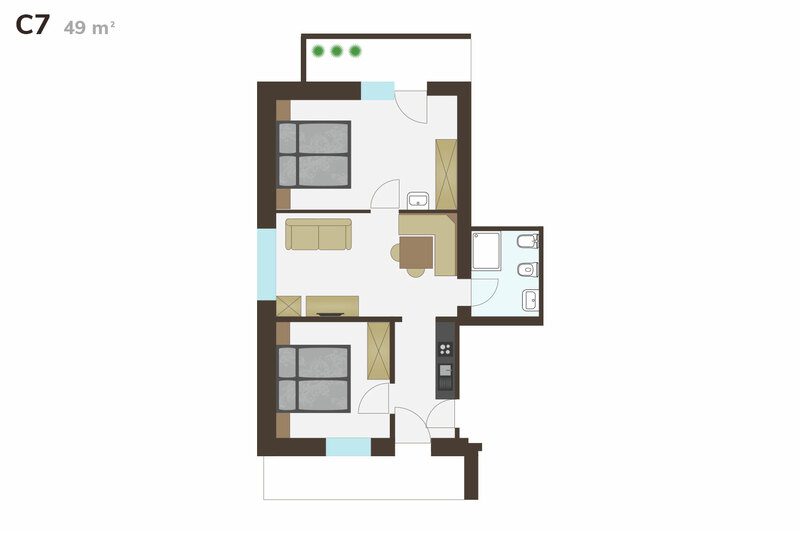 It contains 2 bedrooms with double bed, living space with sleeping couch, kitchenette, bathroom with shower and 2 balconies.